Call Every New Sales Lead 6 Times? Sorry, that’s Crazy. One question: are they mad? Never mind the business case for such a heavy-handed approach, how would you feel personally if you received 6 phone calls over less than 2 weeks in response to an innocent sales inquiry? Call me a data point of one, but the company that makes those phone calls to my desk is someone with whom I’d never want to do business. Ever. If all you ever do is contact sales leads by phone, you’ll need to call people six times before you either make successful contact or wear out the patience of even the most energetic sales rep. However, here’s where I think the argument falls apart. In an era of marketing automation and automated lead management, you don’t have to rely solely on phone calls to follow up on leads. And to the extent you rely on telemarketing exclusively, your lead management will be less effective and your sales productivity will suffer. Not only does incorporating automated lead management (powered by marketing automation) into your lead follow-up strategy ensure a more consistent, timely response to inbound leads, it also allows you to dedicate more expensive human capital to those leads that, by virtue of automated lead qualification and profiling, are deemed more worthy of personal intervention. It’s also a documented fact that, to an increasing degree, both consumers AND businesspeople don’t respond to phone follow-up or even voicemail, so using email in combination with telemarketing virtually guarantees a higher engagement rate. Call it impersonal, but I maintain that doing so is in large part a reflection of the world we live in and how most people communicate. And therein lies my point. 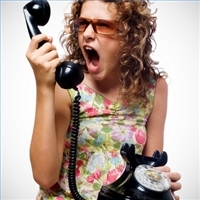 Making 6 phone calls to any sales lead over a period of 12 days, in the absence of complementary and automated email follow-up, is simply a waste of valuable sales time and an ineffective way to respond to leads. Are there any circumstances when 6 calls in 12 days makes sense? Comments welcome. This entry was posted in B2B Marketing, inside sales, Lead Management, Lead Nurturing, Marketing Automation, Sales 2.0, telemarketing and tagged inquiry response, lead follow-up, Lead Management, Lead Nurturing, Leads360, Marketing Automation on February 24, 2011 by Howard Sewell. Unfortunately there are many companies whose culture is so pressured that salespeople will do just that to keep their jobs. The old “smile and dial” is obsolete, but many managers think it’s easier to throw a warm body into a cubicle with a phone than make the timeconsuming and somewhat painful transformation to proper lead management and marketing automation. You’ll probably still see call centers with low level sales tenderfeet banging on phones as a numbers game for quite a while yet. Hey, thanks for the plug. You’ve helped articulate one of the reasons why Leads360 is having huge success even in the face of SaaS giants like Salesforce and Eloqua. Those are B2B solutions. The truth is B2B sales couldn’t be more different than B2C sales. Anyone who tries to treat it the same is wasting time and money. And any software that says they handle B2C as well as they handle B2B just doesn’t understand the difference. So again, thanks for the plug; and yes, Leads360 always claimed B2C sales lead management software, not B2B. We know what we are, and we know what we’re not. That’s why our customers trust us, and our research. I also work for Leads360 and I just wanted to mention that we do advise a consistent email nurturing strategy, especially one that is well matched to the inquiry (not generic) and timely. Our system allows a scenario such as an email being immediately triggered upon a voice mail being left, etc. You can see that in our recent study of major insurance carriers we gave email response equal weight to call response. Check it out here (no form): http://www.leads360.com/download/whitepapers/leads360_secret_shopper_public.pdf. Thanks again for engaging with us about this stuff… we live and breathe customer acquisition! Thanks for the comment, Avi, and for the link. Good to know that email is part of the equation at Leads360. Just to be clear: I’m not questioning the research or the data, only the (apparent) conclusion that calling sales leads 6 times in 12 days is somehow the “optimal inquiry response strategy.” It might be if you all ever did was call, but as you’ve noted, email deserves to play a major role.